Description: Shell minute, wider than high, spire low. 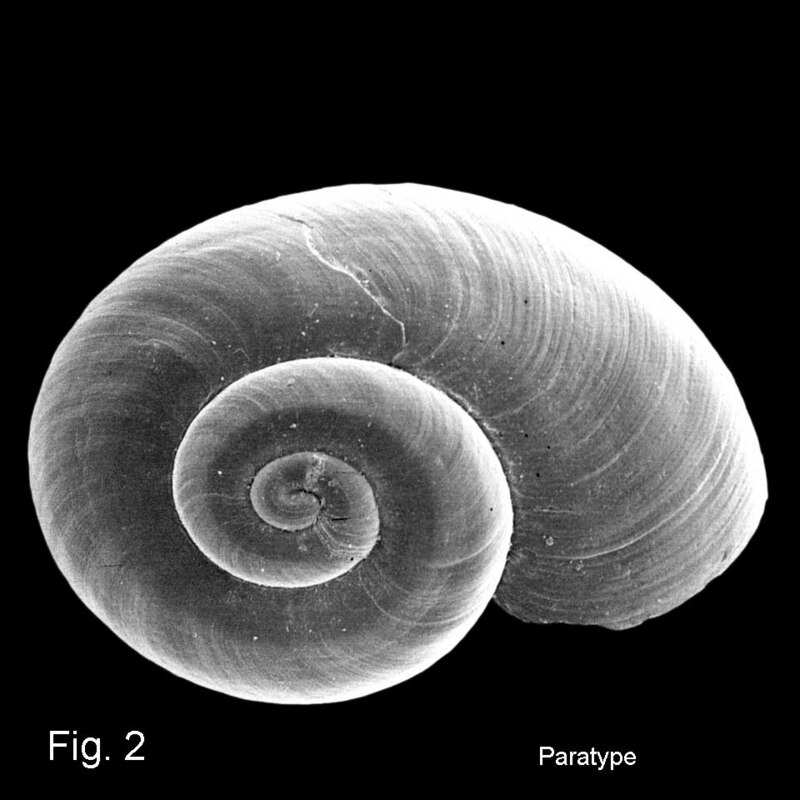 Protoconch finely and sparsely granulate, first half whorl with 6 spiral threads, with well-defined transition to teleoconch. Teleoconch up to 2.6 whorls. Whorls strongly and evenly convex to a strong, carinate basal angulation around middle of base. 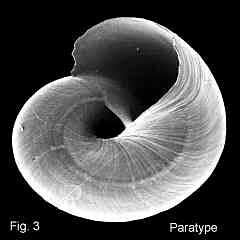 Whorls smooth apart from growth lines that follow the curve of the outer lip, and obscure spiral lines. Umbilicus fairly wide, with a strong, sharp flange commencing at bottom of aperture, and ascending steeply into umbilicus. Aperture subcircular, peristome interrupted, joined by callus band on parietal wall; outer lip thin, inner lip thin. Shell translucent to opaque white. Size: Up to 1.92 mm in width. Distribution: Known only from NSW: Broken Bay southwards to Wattamolla. Habitat: Lives on waterlogged wood, known from 439-714 m. There are 235 paratypes taken from one piece of wood from 439 m off Broken Bay. Remarks: This is one of 15 species of skeneiform gastropods that were found on and in sunken wood from deep water, as described by Marshall (1988). 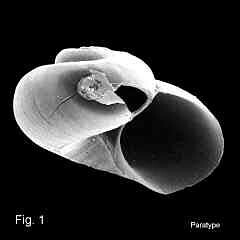 A community of molluscs was found inhabiting the extensively bored wood, including boring bivalves (Teredinidae, or shipworms and Mytilidae, or mussels), and minute limpets of the families Acmaeidae, Cocculinidae and Pseudococculinidae. As with this species of skeneid, some of the minute limpets were also abundant on the wood substrate.